The on-ice hustle hasn’t stopped these players from spreading holiday cheer. 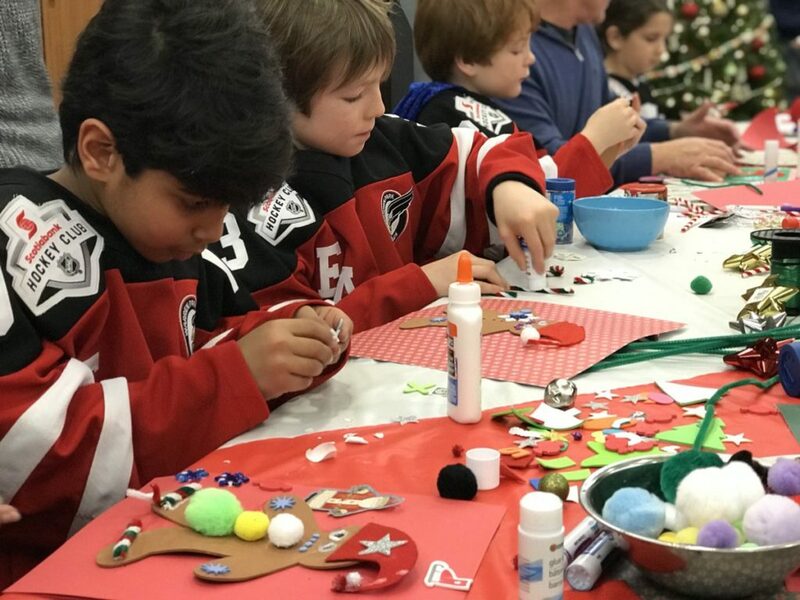 See how GTHL teams are celebrating and giving back this holiday season. Share your photos on social media using #IPlayInTheG. The Warren Park Eagles are learning the spirit of giving after their visit to Runnymede Health Care. Christmas came early for GTHL Top Prospets. One team. Two hundred pounds in donated food. Gapes is always great for spreading cheer. The Peewee Toronto Titans didn’t meet Santa, but they got the next best thing. Grateful for the support of our celebrity coaches at the GTHL Top Prospects Game.